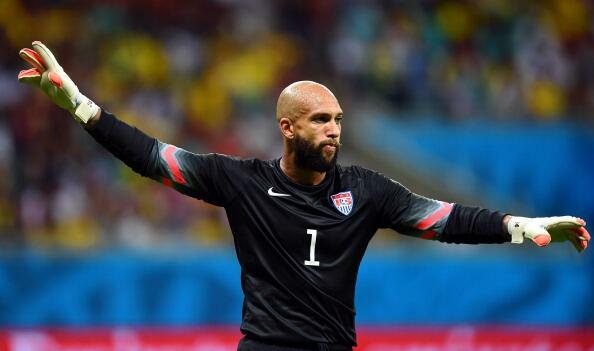 Tim Howard was fun to watch today. I don’t watch soccer. I never grew up caring for the sport. I cared for other sports. But soccer wasn’t one of them. Most times when the World Cup comes along I might watch one match and that’s it. But this year, I decided to watch more. It was more out of curiosity than anything else. And it was good background noise from my TV as I did other things. But as I watched more and more, there were elements that were presented that reminded me why I don’t watch soccer. The flopping, the lack of scoring, the ties were all frustrating. But there were also great moments of athleticism and upsets that caught my attention too. I don’t think my love for soccer grew at all. But at least now I have watched most of the matches and I have found myself at least paying attention. The drama has been great. Now with the tournament coming to an end soon, I will still watch. I think that since I’ve watched this much, I might as well continue watching to see who finishes out on top. I’ve watched more than I ever have in my life. I doubt I will follow soccer in any form until 2018. But at least now, I understand and appreciate it a little more. But not enough to convince me to watch more of it. We’ll see how I feel in four years. This entry was posted in Commentary, Soccer, World Cup and tagged World Cup 2014. Bookmark the permalink.